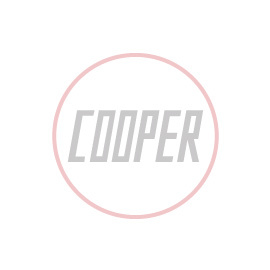 Feedback on the Limited Edition Cooper watch. Limited edition Cooper Car Company stainless steel watch with leather strap. John (Smokey) Rhodes joined Cooper's and became a legend with his unique tyre sliding, sideways driving style hence the nickname 'Smokey'. John left school at the age of 15 to become an apprentice toolmaker. After RAF service as an instrument maker during the latter stages of the Second World War, John was eager to pursue his passion for cars.